Michael Shub began his mathematical career as a dynamicist In his Ph.D. thesis in 1967 he introduced the notion of expanding maps, which gave the first examples of structurally stable strange attractors, contributing essentially to the scientific revolution now called Chaos Theory. In dynamics he proceeded to study the relations between smooth dynamics and algebraic topology formulating the entropy conjecture which predicts and measures the extent that chaos is present in a system from simple algebraic data. The conjecture was ultimately proven. With Charles Pugh he has worked on the extent that chaotic dynamical systems may be understood statistically. Their conjecture that volume preserving partially hyperbolic dynamics are generally stably ergodic, and thus may be studied statistically, has been verified for a large set of cases. In 1981 he began working with Steve Smale on the complexity theory of solving first one and then a system of polynomial equations. With Lenore Blum they initiated a general theory of complexity of computation over the reals or complex numbers -or indeed any ring or field- thereby generalizing the classical theory of Turing and problems such as does P=NP? to the real and complex numbers. Along the way, Shub with Lenore and Manuel Blum proposed a pseudo-random number generator now called BBS and proved it cryptographically secure. From 1967 to 1985 he was on the faculty of Brandeis University, the University of California (Santa Cruz) and Queens College of the City University of New York. From 1985 to 2004 he joined IBM’s Thomas J. Watson Research Center. From 2004 to 2010 he was at the University of Toronto. After 2010 he was a researcher at the University of Buenos Aires and at the Graduate Center of the City University of New York. 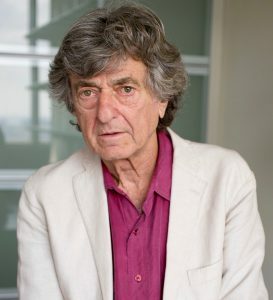 In 2016 he joined the Mathematics Department of The City College of New York as Martin and Michele Cohen Professor and Chair of the Department. Shub was the founding Chair of the Society for the Foundations of Computational Mathematics from 1995 to 1997 and founding Editor of the Society’s eponymous journal in 2001. Conferences in his honor have been held at the University of California at Berkeley in 2003 and the Fields Institute in 2012. He is a Fellow of the American Mathematical Association, the American Association for the Advancement of Science, the New York Academy of Science and the Fields Institute. He has given invited talks to the American, Australian and Spanish mathematics societies as well to the International Congress of Mathematicians. He has been a Sloan Fellow and in 2016 was selected as a Fulbright Specialist. His work has been cited by over 2000 mathematicians. Shub and his wife Beate Echols collect art from around the world. You can see their collection at Beate’s website and cubanartcollection.com.